One might think that caring for a robot baby—one that cries and sleeps like a regular human baby—might discourage teenage girls from getting pregnant. According to new research, however, the robo-babies actually appear to have the opposite effect. 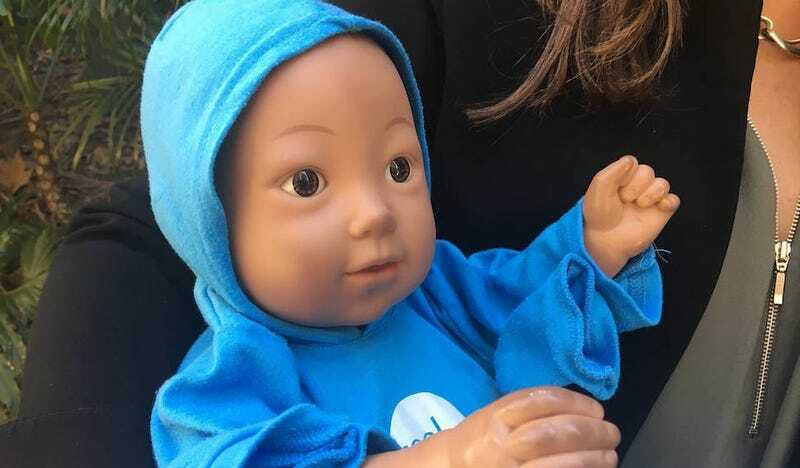 A study published today in the medical journal The Lancet found that so-called infant simulator-based programs, which use robot babies to prevent teen pregnancy, don’t deliver on their promises. In fact, the study concluded, girls who were given the robot babies for a weekend “were more likely to experience a birth or an induced abortion” than girls who weren’t. Researchers looked at 57 schools in Perth, Australia and divided them into two categories. 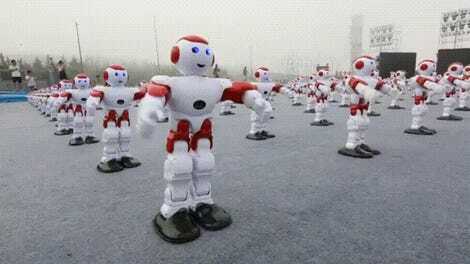 Twenty-eight schools—1,267 girls aged 13 to 15—were given robot babies, and 29 schools—1,567 girls aged 13 to 15—were given normal health programs. The girls were then followed via medical and abortion clinic records until they hit age 20. The trial period, which ran from 2003 to 2006, showed that 8 percent of the girls with robot babies were found to have had at least one birth, compared with only 4 percent of girls without robot babies. Moreover, the pregnancy rates for girls who participated in the program was 17 percent, whereas the rate of those who received traditional education was only 11 percent. The abortion rates also differed: 9 percent the robot group had at least one abortion, compared with 6 percent of the non-robot group. The baby simulators – which cost roughly $1200 each – replicate the sleeping and feeding patterns of a baby. They cry when they need to be fed, burped, rocked or changed. They detect and report any mishandling, the length of crying time, the number of changes and general care. As the Washington Post points out, this isn’t the first time the robots have been called out for their questionable efficacy in preventing pregnancy, though the study’s authors say theirs is the first published research to look into the long term effects. Here’s a robot baby in action. Don’t you just want to hold it? No? Me neither!